Preventing vegetable diseases is usually easier than treating them once they occur. Vegetable diseases can be devastating some years, and nonexistent in others. Extreme temperatures, drought conditions, pest outbreaks, or unseasonable wet or cold weather all stress plants, and stressed plants are more susceptible to diseases. These factors are beyond the gardener's control. Other factors, like overcrowding, or choosing the wrong vegetable varieites for the locale, are completely within the gardener's control, so mistakes in these areas are self-inflicted. Avoid common mistakes like planting too early, or overcrowding your vegetables. Check this list of The Top Ten Mistakes Beginning Gardeners Make to see how the most common gardening mistakes increase pest and disease problems. Choose the right vegetables for your location. Most vegetables require at least 6 hours of sun a day to thrive, and 8-10 hours is better in the summer. If you try growing sun-loving or heat-loving vegetables like tomatoes or eggplants in a shady, cool, coastal climate, you’ll have a lot more disease problems than you would if you grew plants more suited to the conditions, like leafy green vegetables. Select resistant varieties. This is one of the most important weapons gardeners have agains vegetable diseases. If you’ve had disease problems in the past, look for resistant varieties. Plant breeders are constantly selecting for disease resistance, so choose varieties that are resistant to diseases prevalent in your area. Your county agricultural agent or local garden club can tell you which diseases to watch out for, and may be able to point you toward resistant varieties. Cornell University has lists of disease resistant vegetable varieties Here . Cornell’s Vegetable MD Online is a great online resource for common vegetable diseases. Grow robust vegetables. Plant vigor is the first and best defense against pests and diseases. Prepare the soil well, space your vegetables correctly, and make sure they have enough water. Adding organic soil amendments like kelp meal and rock dust at the time of planting can boost plant immunity and make them more resilient in the face of extreme temperatures. Rotate crops. Avoid planting the same crop—or a member of the same plant family—in the same place year after year. Pest and disease populations build up over time, and rotating a non-susceptible crop into the plot disrupts this buildup. Plants in the same plant family also tend to strip the same nutrients from the soil, so the next generation of plants is less vigorous. See Vegetable Crop Rotation for more information. Good garden sanitation is critical in preventing vegetable diseases. Diseases and pests overwinter in plant debris, and spores will infect the next crop planted there. Remove and compost plant debris and mulches, or till them into the soil before winter. Diseased plants should be placed in the trash, not the compost pile. While a hot compost pile will kill vegetable diseases, all diseased materials have to be in the hottest core of the pile. Spores outside this hot zone can survive to infect your garden again. Avoid working in the garden when foliage is wet. 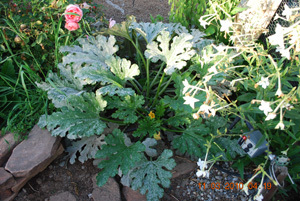 Wet foliage is heavier and more easily damaged by movement through the garden. Most diseases enter leaves through injuries, and fungal diseases often require water on the leaves for infection. Use drip irrigation for summer vegetables. Water on the foliage of summer vegetables like tomatoes, peppers, eggplants, cucumbers, squash, and green beans is an invitation to fungal diseases. It's okay to use overhead watering for seedlings, but once the plants start flowering and setting fruit, their energy shifts from defending leaves against diseases to setting seeds. If you must use overhead sprinklers, water early in the morning, so foliage has time to dry off before nightfall. Mulch the soil under vegetables. Mulching is one of the least-used, but most important organic gardening practices. A layer of mulch reduces stress on plants. It protects the soil surface from baking sun, pounding rain, and scouring by the wind. It keeps roots cooler, holds in moisture, and reduces watering by 20% or more. Rain striking bare soil causes soil—and disease spores and bacteria—to splash up onto the undersides of leaves, where it can infect the plant. 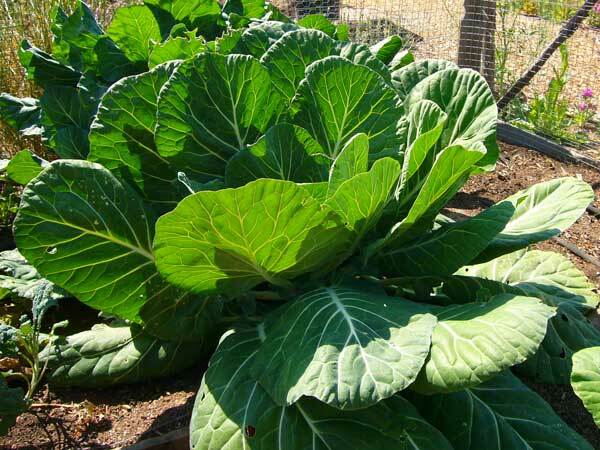 Mulch acts as a barrier that helps prevent vegetable diseases. Don’t over-fertilize. This is on the Top Ten Mistakes list, but bears repeating here. Excess nitrogen, even in heavy feeders like tomatoes, produces excessive, disease-prone foliage.